In 1982, in the local fenlands of Peterborough, wooden timbers were accidentally brought to light. It was the time of the heavy draining of these areas. An archaeological team, lead by Francis Pryor discovered they belonged to a post alignment dating back to the Bronze Age, leading into the fens for over 1 kilometre. Over 60,000 timbers, hewn with bronze axes, were used. Near the post alignment, a large platform was discovered as well. Flag Fen was built by successful farmers who deposited vast quantities of metal, stone, ceramic et cetera. The excavations over decades have by now given much information on the people and the landscape in Bronze Age. 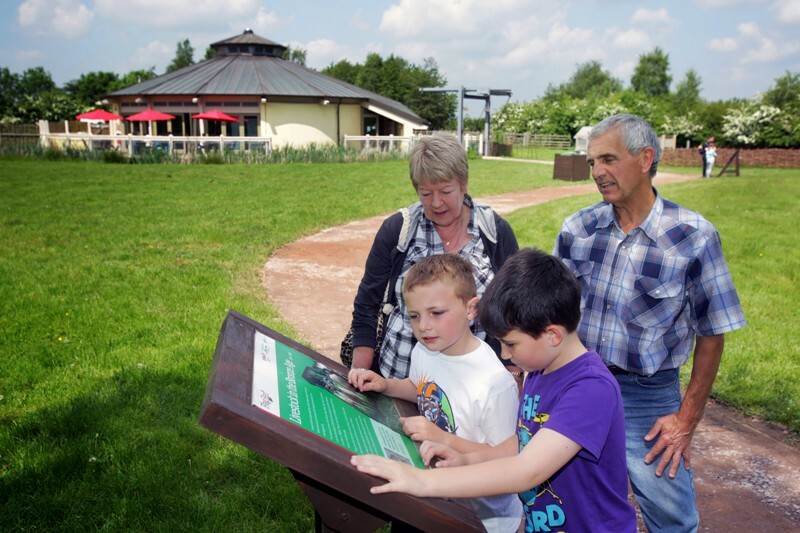 The nearby heritage centre is partly covering the costs of the ongoing excavations. The reconstruction of Bronze Age pastoral landscape is relatively unique in Europe – the original of which was in use between 2000 BC and 900-600 BC. Part of it is a reconstructed droveway which served as a barrier for the animals to the open summer grazing. 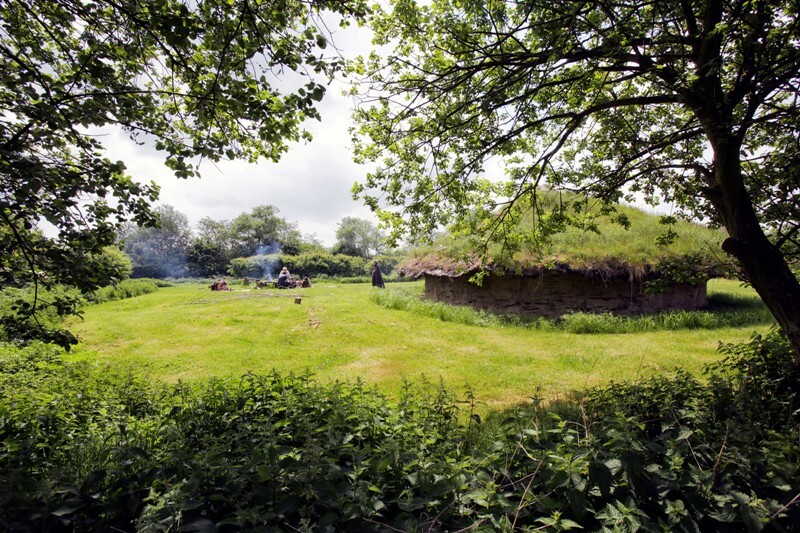 Two Bronze Age roundhouses are made of ash and oak, with a heavy turfed roof. One of them is based on finds at Fengate in 1976. A woodworking demonstration area catches attention for the huge amount of preserved wooden finds – here one can use bronze axes, chisels and gouges. The Iron Age type roundhouse (1988) is based on Fengate excavation combined with other sources. It is of a much lighter construction than the Bronze Age buildings on site. A Roman herb garden is developed they keep several sheep and there are both original and reconstructed prehistoric and Roman roads (The Fen Causeway) and paths. 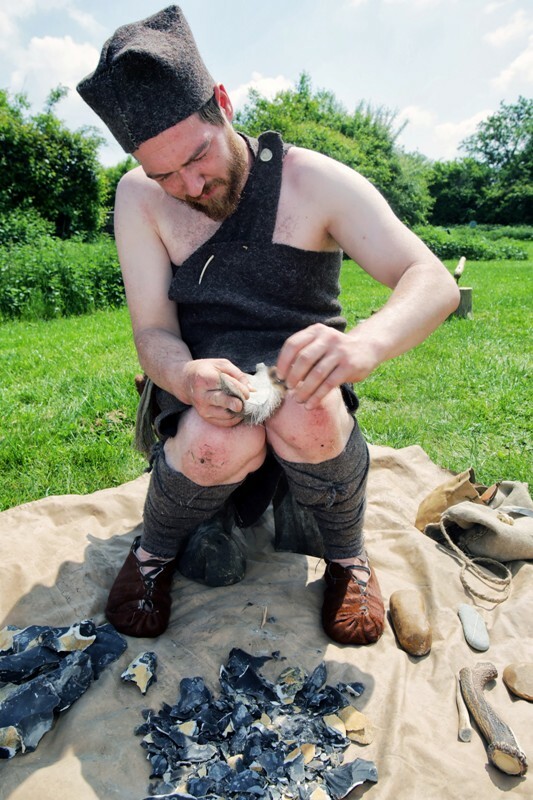 Besides the exhibition the park is also engaged in experimental archaeology and archaeological education. The latter exists mainly of programs for schoolchildren, public events and workshops. I am responsible for leading on the promotion, interpretation and conservation of the archaeology at Flag Fen.